Short Summary: a long, hot summer… That's what Macy has to look forward to while her boyfriend, Jason, is away at Brain Camp. Days will be spent at a boring job in the library, evenings will be filled with vocabulary drills for the SATs, and spare time will be passed with her mother, the two of them sharing a silent grief at the traumatic loss of Macy's father. But sometimes unexpected things can happen—things such as the catering job at Wish, with its fun-loving, chaotic crew. Or her sister's project of renovating the neglected beach house, awakening long-buried memories. Things such as meeting Wes, a boy with a past, a taste for Truth-telling, and an amazing artistic talent, the kind of boy who could turn any girl's world upside down. As Macy ventures out of her shell, she begins to wonder, Is it really better to be safe than sorry? You can totally read this book in public. But I prefer to read this book in the comfort of my bed, that way I’m comfy. The mood is sad in parts. But it’s also happy. And you will laugh your head off at Kristy and Delia. I love Macy. Macy is probably one of my favorite characters in a book. I can really relate to her. When her dad died, she kind of shut down. She didn’t allow herself to mourn. She decided to become this perfect person. When my grandmother died last year, I did the same as Macy. I didn’t go out much. I became rather quiet. But then, like Macy, I met a great group of friends (including the beautiful Dexter and Bones), and I began to live my life again. Macy tries her best to please everyone, but eventually, she decides she has to be happy as well. I honestly do not have enough words to express my love for Macy Queen. Jason: I know you're wondering why I would choose Jason. But just the way Sarah Dessen wrote his character with some potential for change, I just love it. Delia: This woman is amazing. She is so funny. She freaks out over everything that goes wrong. And yet, instead of organizing things to make it better, she keeps things the way they are. She feels that things are the way they are for a reason, and she doesn't change that. Bert: Bert is Wes' brother. He is so funny. I honestly do not have words to describe my love for Bert. He's perfect. Caroline: She's Macy's sister. She gradually helps Macy and her mom out of their deep depression. She's just perfect. Okay, so Jason is pretty crusty. And so are Macy's evil co-workers at the library. Her mom is a bit crusty throughout the book, but the woman is hiding her grief. She's going to be crusty. I love the book cover. I think it's perfect for the book. It just is. Jessie J, Who You Are. It's perfect. 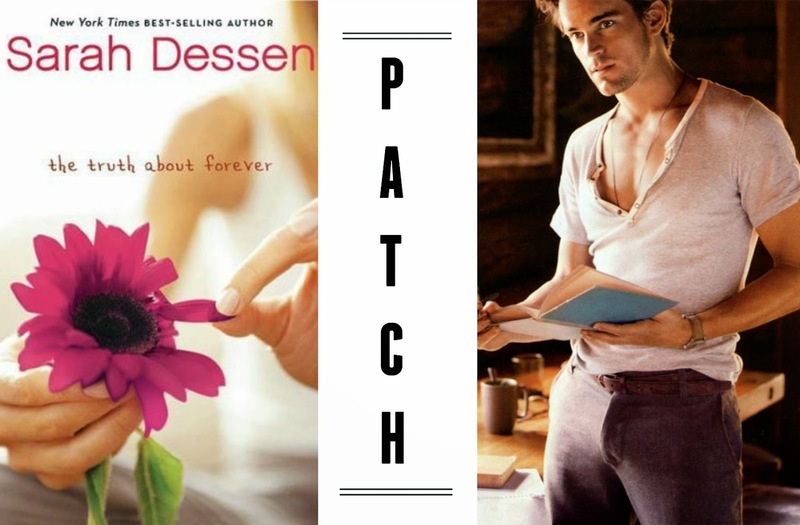 As you all know, sequels are unheard of in Sarah Dessen's world. But you can catch Macy and Wes in another book. And Jason is in two others. I'm not telling you which ones, just keep an eye out. I give this book a 5. I have to. It's perfect.